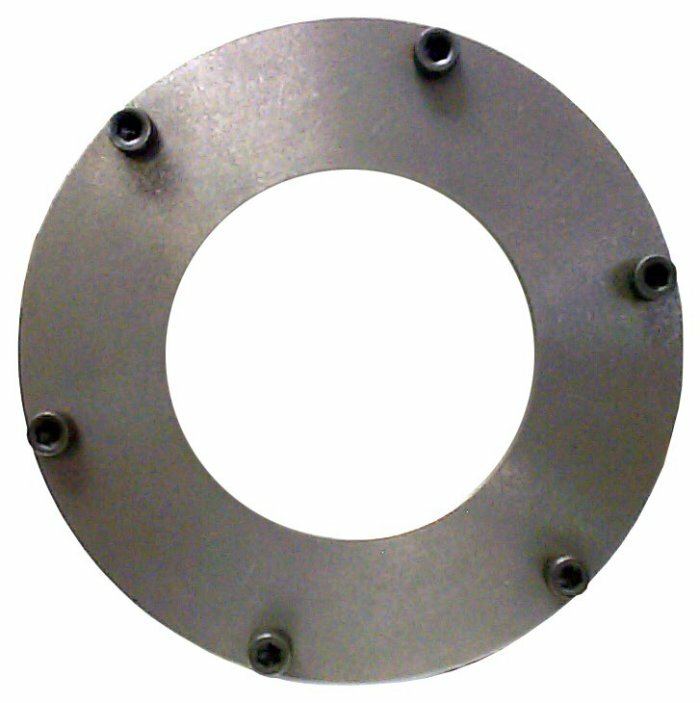 Carlisle Drilled Port Ring Burners are used in both the glass and plastic industries. In the glass industry, the healthy flame from the ring burner is often used in warming or shrinking applications. While in the plastics industry, the drilled port ring burner delivers a high level of surface treatment to bottles and other circular plastic containers. 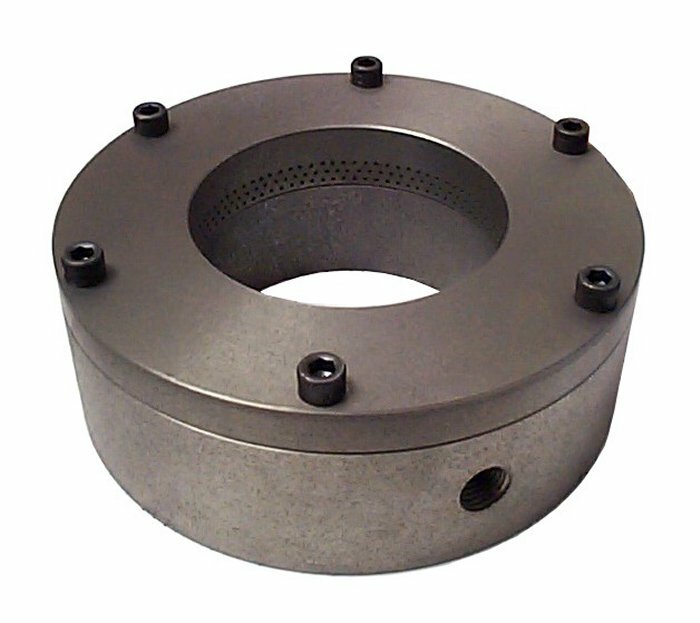 The strength of the Carlisle Drilled Port Ring Burners is in the design of its construction. The Ring Burners feature drilled ports that provide for a precision flame for gas air applications. The drilled porting delivers an exacting flame not possible with the conventional crimped ribbon style porting. The porting is drilled in such a way that the flame creates an upward vortex. This allows the flame to move upward rather than impinging upon itself. Also, rather than constructing the ring burner in two halves that break up the flame port area, the Carlisle Drilled Port Ring Burners are constructed of one top half and one bottom half that are then bolted together. This construction provides for a seamless flame port area that ensures an even flame characteristic. It is important to note that with this design many of the smaller ring burners can be fed with only one inlet rather than two, which makes for easier feed piping. The Gas Air Drilled Port Ring Burners are available in both cast iron and brass materials.